growing rapidly, managing them one-off or via Excel or corporate wiki is no longer feasible. The smartest organizations have discovered a set of best practices to design powerful APIs that leverage existing services, to effectively manage those APIs throughout their lifecycle and to scale their deployment across consumers and devices. 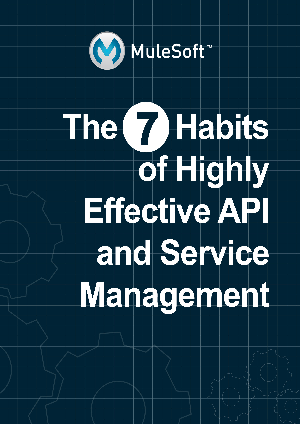 This eBook examines the relationship between APIs and services and presents the key elements of a successful API strategy in the form of 7 habits.